In 2018 we gave a grant to the Circle Collective who provide skills training, mentoring and work experience to enable young people into employment. 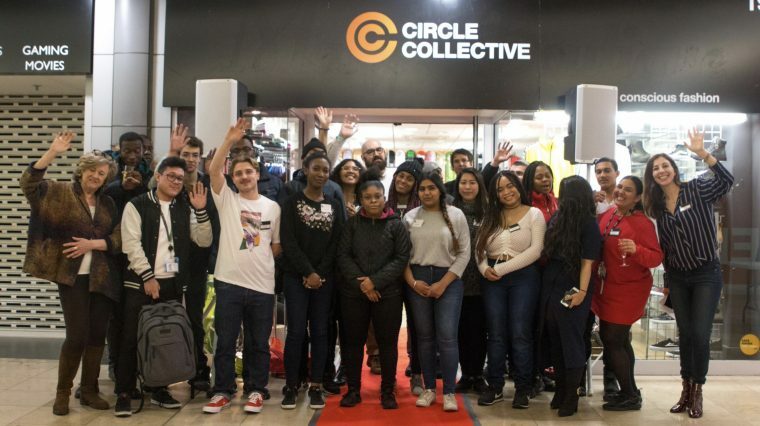 On 28 February 2019, in Lewisham Shopping Centre, these trainees graduated from the Circle Collective course. It was an inspirational evening that celebrated the achievements of the young people and gave them the opportunity to share with others what the programme has done for them. Circle Collective also has a shop, which not only provides a place for people on the course to gain work experience, but acts as a social enterprise to support the charity. The evening finished with a fashion show featuring some of the clothes from the shop.